Play free casino games on mobile for real Canada casino rewards. A fantastic deal has been struck between two major gaming companies. 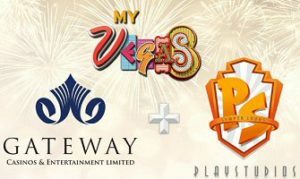 Gateway Casinos & Entertainment and social gaming platform developer Playstudios are partnering up. For the first time, Canadians will be able to enjoy genuine Canadian casino perks for playing free mobile casino games. Playstudios is the proprietor of the wildly popular myVEGAS mobile app. For the last few years, users have been earning real-life rewards at major gambling destinations in, mostly in Las Vegas. The free-to-play casino app delivers rewards for dozens of gambling and entertainment facilities across the US. And now, their expanding their North American presence into Canada via all Gateway casino properties. Playstudios offers a number of eligible gaming applications for iOS and Android mobile devices. They include myVEGAS Slots, myVEGAS Blackjack, KONAMI Slots, POP! Slots and others. Users can also play myVEGAS games on Facebook, compatible with all desktop, laptop, smartphone and tablet devices. Note: Playstudios games do not offer real money gambling, and are intended for mature audiences of 21+. The game variety is immense. There are countless, beautifully rendered 3D slot machines in the myVEGAS app; named ‘Best of 2016‘ by eGaming Review and iGaming Business. 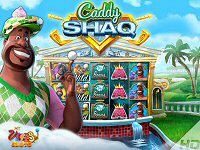 For table games fans, the myVEGAS Blackjack app has all the most popular titles, including multiple variants of blackjack, unique SHAQ branded games, and more slot machines to choose from. Playstudios develops the only free mobile casino games that deliver genuine casino rewards to their players. Thanks to their new partnership with Gateway, millions of Canadians can now enjoy those perks right here at home. Burnaby-based Gateway Casino & Entertainment Ltd is one of Canada’s largest and most diversified hospitality companies. They operate 25 casinos and gaming facilities across the country, with properties in Alberta, British Columbia, and Ontario. Playstudios members are eligible for a wide range of Canadian casino perks, not just on the gaming floor, but in their hotels, restaurants and theaters. That includes their signature dining experience, MATCH. To reiterate, Playstudios does not offer any real money gambling within their social and mobile casino games. New members receive a heap of coins to play with, with additional coins added by way of hourly and daily bonuses. In-app purchases of additional coins are available, but there’s no purchase necessary to earn real Canada casino rewards. That alone is a huge perk for players seeking entertainment and extraordinary value. Playstudios and Gateway Casinos will each benefit largely from the partnership, as well. For Playstudios, it means access to upwards of 2 million new Canadian customers. And for Gateway, offering rewards to those players will bring in more guests to their hotels, restaurants, entertainment venues and—of course—gaming floors. Jeff Netzer, VP of Business Development for Playstudios, is ecstatic to offer players a more geographically expansive rewards scheme. “Our loyal fans are global players who want access to our rewards at ever more locations,” he says. Carrie Kormos, SVP of Marketing for Gateway, reciprocates Playstudios’ enthusiasm. “We are proud to offer PLAYSTUDIOS players the opportunity to earn Gateway rewards.” She goes on to explicate the advantages of catering to millions of Canadian customers who may not yet be familiar with the multitude of food, beverage and entertainment opportunities Gateway has to offer.